Thanksgiving is coming......fast....so we, the members of Wine Pairing Weekend, decided to share some American wines that are perfect for serving up for this American Feast. Most of us roast a turkey for Thanksgiving. Some of us have a second or third meat. I usually have fresh kielbasa and sometimes will include a beef recipe of some sort, depending on how many guests I am serving. Mashed potatoes, stuffing, cranberry sauce, buttered corn and pumpkin pie always make the menu at our house for Thanksgiving. 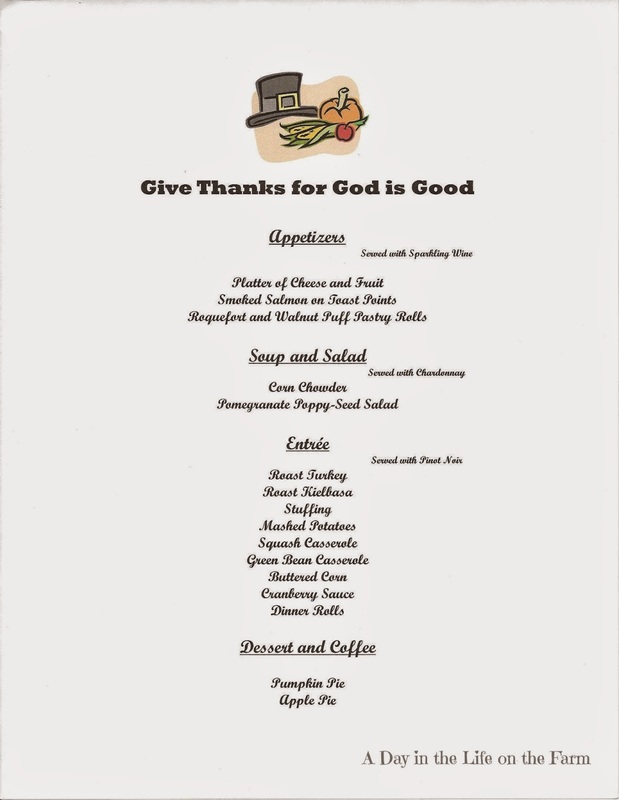 I try to add variety each year by changing up the appetizers, soup, salad and second dessert that I offer. We always have wine and normally that wine is an American wine, mostly because Frank and I are huge California wine fans. When guests arrive we offer cocktails or sparkling wine with the appetizers and then I try to pair a wine with each course that I am serving as shown in the menu above. There is no hard and fast rule that you must drink white wine with fish and poultry. 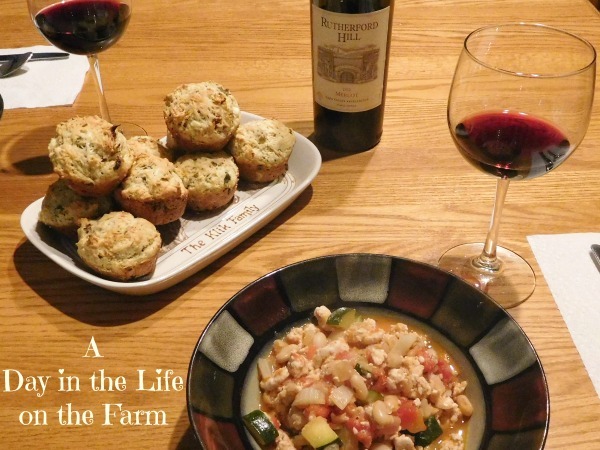 Much of the decision on what wine to pair with these dishes depends on how they are prepared. Roasted poultry, including turkey, pair very well with Pinot Noir and Merlot. #Merlotme event that takes place each October. You can learn more about #Merlotme by going to this post or following the hashtag on social media. I was not familiar with Rutherford Hills prior to being supplied this bottle so I went to their website and did a little research. 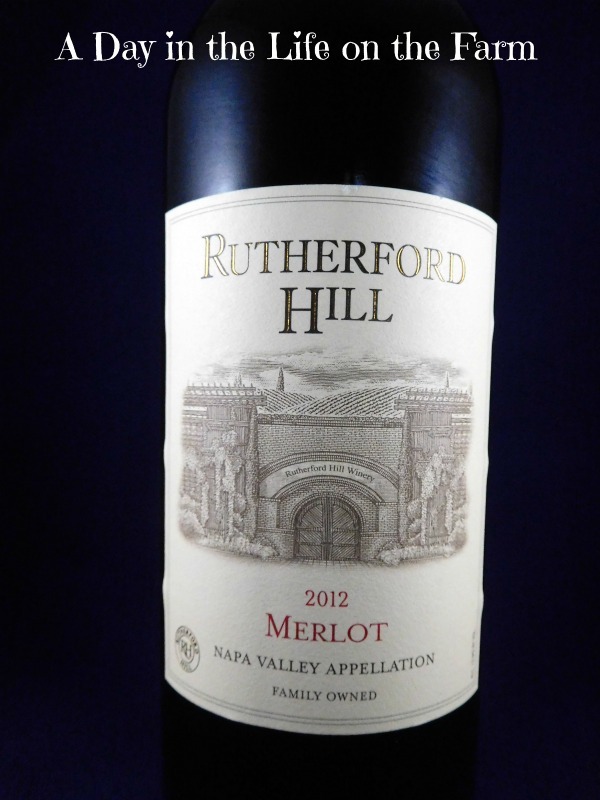 Rutherford Hills is located in Napa Valley, it was founded in 1972 and was one of the pioneers in the development of California Merlot. 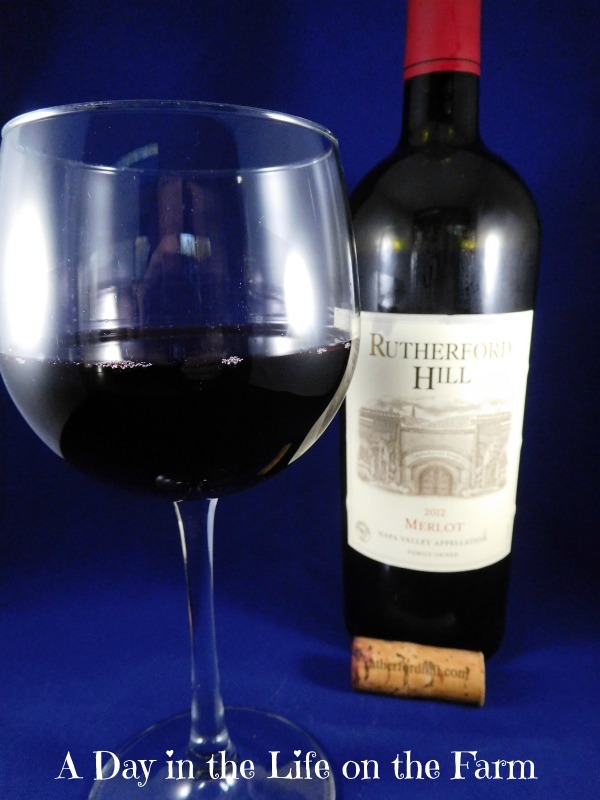 The grape growers who started this winery Merlot grapes because the terroir is so similar to that of the Merlot growing regions of Bordeaux. The Terlato family bought the vineyard in 1996 and brought the business into their guiding principle "Quality is a way of life". Those of you familiar with my blog know that while I appreciate sponsors and getting free samples, I never allow that to affect my posts. I always give my 100% honest opinion. In fact, this bottle was not the bottle we originally opened to pair with this dinner. The first bottle we opened was fine but not wonderful and I wanted to showcase a wonderful bottle for you to enjoy on Thanksgiving. We set the first bottle aside to enjoy another time and opened the Rutherford Hills. The wine poured deep and rich. The first thing I noticed was the smoothness of the wine and the rich finish....reminding me a bit of chocolate that is left to melt in your mouth. Not the sweetness of chocolate as this wine is not sweet at all but fruity and full. It reminded me of the feeling left in your mouth from melting chocolate. I think this wine would be a wonderful addition to your Thanksgiving table. I was going to roast a chicken to pair with this wine so that I could, sort of, replicate a Thanksgiving meal. I changed my mind though and decided to share with you this Mediterranean Chili made with turkey. As with any good chili, the secret is layering the flavors. In this case the flavors I have chosen come from the Mediterranean. 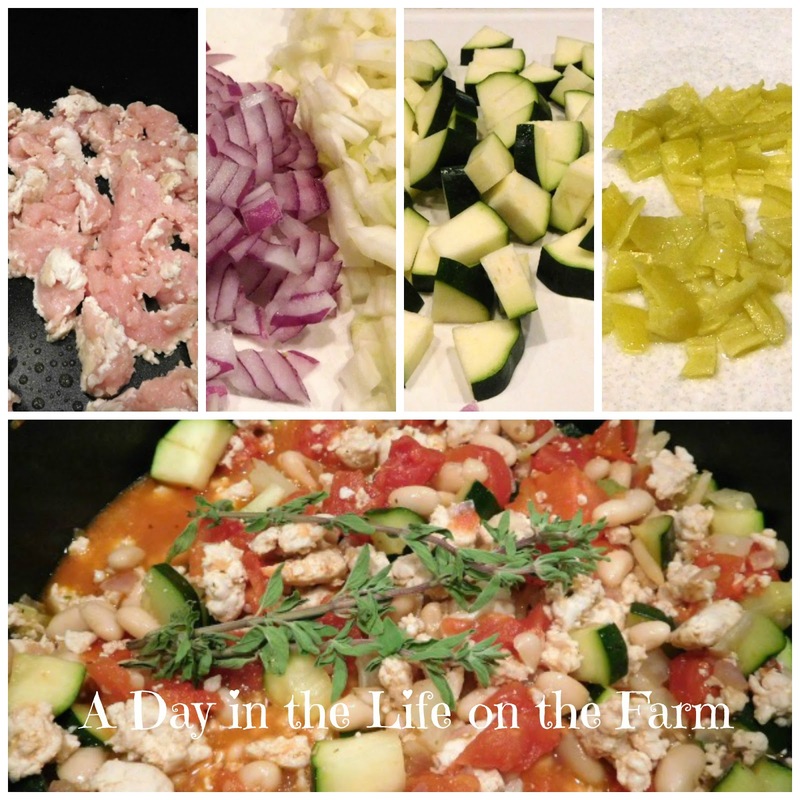 I started off with ground turkey but this can easily be made with leftover Thanksgiving turkey, just omit the first step of browning the turkey and add cut up cooked turkey along with the tomatoes. I chose to flavor the chili with pepperocini, dried Italian seasoning and fresh oregano. I used red onion, fennel bulb, zuchinni , chicken stock and some lemon juice along with canned tomatoes and canned white beans. I was very pleased with the results. I will be keeping an eye out for this wine the next time I go to the market. I hope to find a couple of bottles to serve up with our Thanksgiving Dinner. Join us again next month as we discuss Giving the Gift of Wine. Crumbled Feta Cheese for garnish, if desired. Wine Predator enjoyed American Wine, American Meal: Duck with Napa's Duckhorn Merlot. L'Occasion is sharing 5 American Wines for Thanksgiving. What a great way to use leftover turkey, Wendy!! Love it. 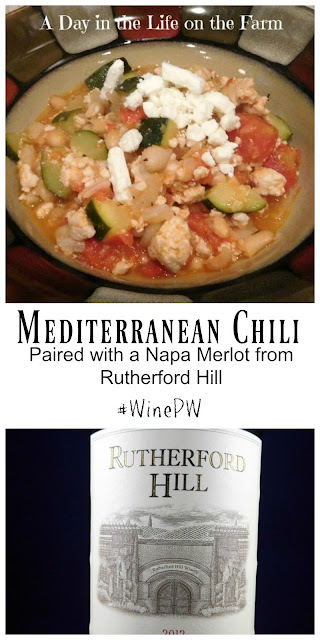 Thanks for the great theme for #WinePW. Thanks for all your help today Cam. Having you as part of my blogging family is one of the things for which I am most grateful.